First Prize Winner of the 2008 Royal Overseas League Competition: “the brilliant Brodowski is a group to watch out for” – The Independent. 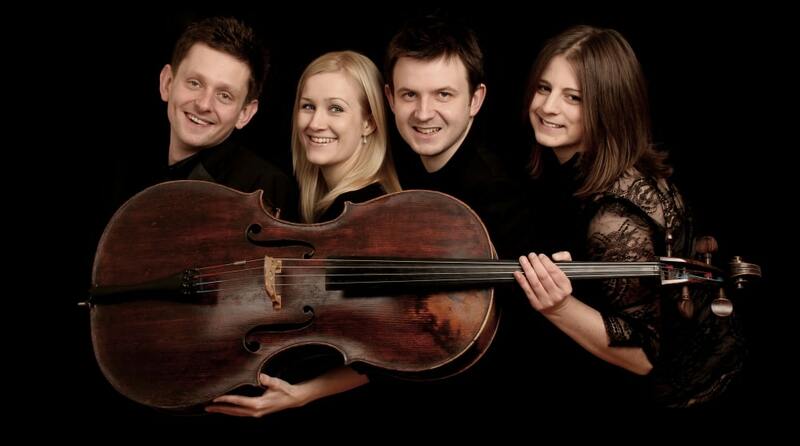 The quartet members, originating from Germany, Wales, Scotland and England are based in London. 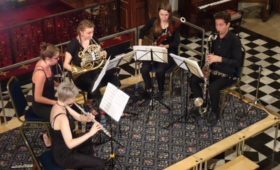 They are currently “Associate Artists” at the Anvil Concert Hall in Basingstoke and “Quartet is Residence” at both Bristol University and Warwick School. 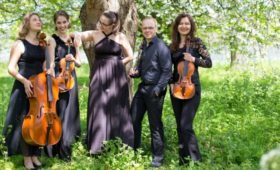 Last year the quartet was recipient of the Richard Carne Fellowship for Chamber Ensembles at Trinity College of Music, where it previously held the Bulldog Scholarship for String Quartet. The Quartet won the Second Prize at the 2009 “Gaetano Zinetti” International Chamber Music Competition in Italy, also winning the Special Award of “Artists in Residence” for 2010. The Quartet was selected as Park Lane Group Young Artists for 2008, giving a critically acclaimed recital at the Purcell Room in London. In 2007 it was winner of the Val Tidone International Chamber Music Competition in Italy and was also prize winner in the Charles Hennen International Chamber Music Competition in the Netherlands broadcast live on Radio 4 Netherlands. Since formation it has enjoyed performing in some of the foremost venues in the UK such as the Wigmore Hall, Queen Elizabeth Hall, Barbican Hall, Purcell Room, the Edinburgh Festival and Brighton Festival, where it won the latest magazine award for “Best Classical Music Act 2009”. 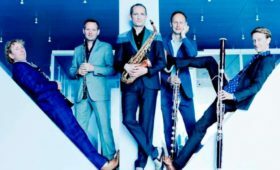 It has performed extensively throughout Europe, notably in the Kronberg Festival, Orlando Festival, held a residency in Anghiari, Italy in 2007 and looks forward to another in Verona in 2011. The Quartet has performed live on BBC Radio3 and this season sees it performing three times at the Wigmore Hall. It is featured on the virtuoso recorder player Jill Kemp’s forthcoming CD of 20th-century British recorder works due for release in summer 2011. The Quartet is dedicated to educational work, giving workshops and concerts in association with the Philharmonia Education Department, Anvil Arts, Glyndebourne Opera and the Cavatina Chamber Music Trust whose invaluable work increases awareness of Chamber Music amongst young people. The quartet is delighted to be selected for the Making Music Concert Promoters’ Network for the 2010-11 season.